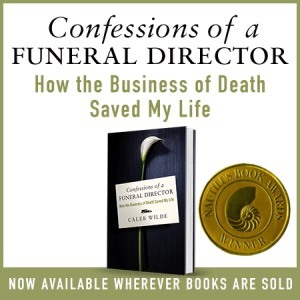 CONFESSIONS OF A FUNERAL DIRECTOR » What If We Could Manufacture Immortality? What If We Could Manufacture Immortality? WHY CAN’T HUMANS BE IMMORTAL? There are some animals that don’t show signs of aging. These animals don’t have a decline in functionality nor do they lack virility. This characteristic is called “negligible senescence (or negligible aging)” and is seen in the Rougheye rockfish (which can live up to 205 years), the Ocean Quahog clam (405 years), the Aldabra Giant Tortoise (255 years) and lobsters, which some scientists believe can live the longest of the above list. Then there are creatures that are biologically immortal. These creatures are not immortal in the “can never die” sense, they simply have no cellular senescence and would live “forever” barring disease or injury. Although, theoretically, there is an aging plateau for these creatures that occurs from exterior damage, not from internal dying. Biologically immortal creatures include the Turritopsis nutricula Jellyfish, Hydra, some lobsters, and planarian flatworms. If the lobster can have eternal cell reproduction, and the Giant Tortoise has negligible senescence, why can’t humanity? This question is being asked by fringe think tanks like the American Academy of Anti-Aging Medicine, the Methuselah Foundation and the Strategies for Engineered Negligible Senescence. It’s being asked because scientists like Marios Kyriazis are suggesting that negligible senescence is inevitable and biological immortality is likely in humans. The history of humanity has been defined by our relationship with nature. For the majority of our history, nature played lead character in our drama, determining how we lived and how long we lived. Whether it was drought, deluges, famine, earthquakes, prosperity, fertility, such was the force of nature that humanity sought for ways to bargain with the capricious Mother of life and death. We invented gods. Gods that we believed controlled weather. Gods who controlled fertility. And we sought to offer sacrifices of livestock and obedience if only to move the gods in our favor. The dawn of our Enlightenment came when we realized that gods weren’t the puppeteers behind the workings of the world, but that world’s workings were made of realities that we could manipulate through science, technology and medicine. This epic discover in the history of humanity began to level the playing field with nature. No longer did we need our gods; today, we bow to science, and science responds to our sacrifices. The last enemy remains untouched. For 1,000s of years, we’ve dreamed of not just living healthy lives, but lives that continue indefinitely, in this world or another. From the Tree of Life to the Fountain of Youth, men and women – for reasons greedy and benevolent – have sought some form of life eternal. And what the gods could not give to our physical bodies, we now, once again fix our hopes on science. Who wouldn’t want immortality? Isn’t this the end that ALL of us are seeking? Isn’t it an innate desire planted within each of us? Heaven and its various forms have motivated thousands of souls towards acts of glory and acts of … well … acts like the Crusades. Many of us are on a search to rediscover Eden. What will happen if we get what we want? What will happen if/when we engineer a pill/a medication/a five calorie juice drink that creates negligible senescence? What happens when we produce Methuselahs on a regular basis? What if Jesus’ view of heaven … of eternal life … happened … here … on earth? While biological immortality is certainly tempting, it is our morality that creates our humanity. While greed and wars can be attributed to the violent fulfillment of our needy and fragile state, it’s also our empathy, our desire to create and reproduce and charity that is undergirded by the fact that we are mortal. Remove our mortality, and our humanity is likewise removed. I do not know whether the advancement in bionics, medicine and artificial intelligence will fulfill our quest for immortality. I don’t know what such immortality would look like. And I don’t know if will be positive or negative. But, I DO know that if a kind of immortality takes place, those who become “eternal” will cease to be the species of human that we know today. Mortality is such a defining characteristic of humanity that to remove it makes “us” into something entirely different. It is that next evolutionary step. If ever such a “Methuselah Pill” is manufactured, it will probably also be marketed. It will be bought and sold by the powerful few who will amass their wealth and power over hundreds of years, creating a race of legitimate superhumans. Such a race could/will rule the world. Death as we know it is humanity’s accountability. You can only become so powerful in one lifetime. Your hatred can only last so long. Death, in many ways, is humanity’s greatest grace. Yes, the world as we know it exists because of death. Death defines our way of life. And while I’m sure that if we’d have the ability to create a “Methuselah Pill” that we’d have the tech to solve overpopulation and the other sundry problems. A whole new world would come into existence. A world where the prevalence of immortality could only be rivaled by the lack of immorality. A world with human immortality is a world we can’t fully comprehend. It would be a world of gods. A new race … a new stage in the evolution of mankind. And all this begs the question: Do we REALLY want biological immortality? This entry was posted by Caleb Wilde on May 21, 2014 at 10:09 am, and is filed under Eschatology. Follow any responses to this post through RSS 2.0.You can leave a response or trackback from your own site.